I pulled the oldes tomato vines out of the garden to make room for some late season plantings. But there were still lots of green tomatoes left. What to do? I happened across a recipe while flipping through the Blue Book, and thought it sounded different and interesting. Added bonus: Green tomatoes were OK.
All that’s needed is the tomatoes, sugar, lemons, water, whole fresh ginger root, and pickling spices. 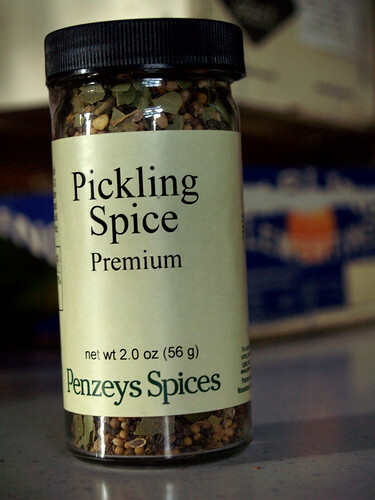 It took me a day or two to find the pickling spices. Fortunately, I have a Penzey’s nearby. While the recipe is incredibly simple, I managed to forget to skin the tomatoes. Since I’m still working with a bounty of cherry tomatoes, this meant trying to wiggle the skins off during the cooking process. I’m sure a few slipped by. The concoction is thick, syrupy, and smells like a cozy mulled drink you’d like to be sipping on a fall evening. 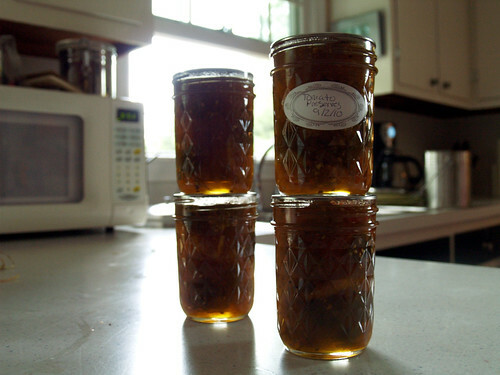 Maybe these preserve will work well for fall baked treats? 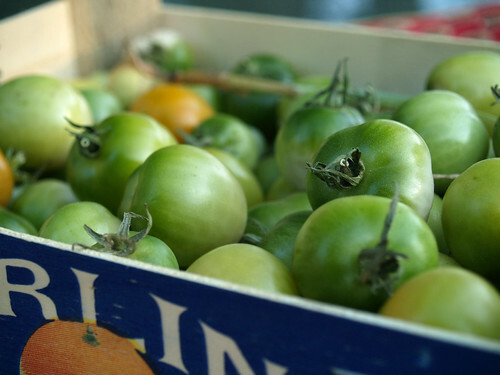 What do you do with your green tomatoes or other unripened garden items?